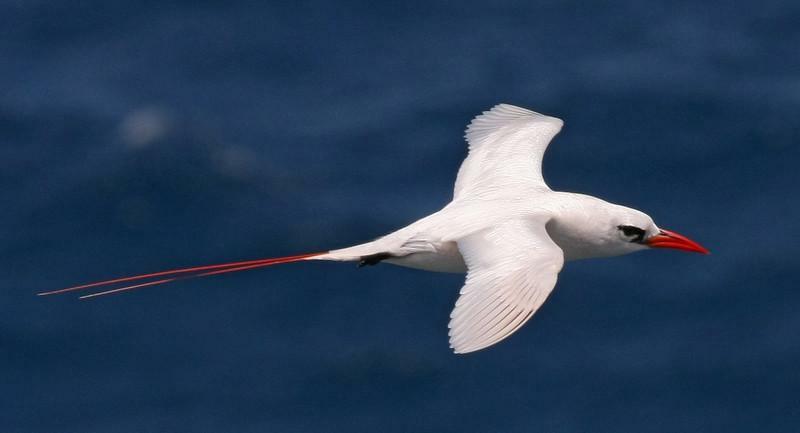 Red-tailed Tropicbird. Photo was taken at Kilauea Point NWR in Kauai. beautiful detail and exposure. great shot! Gorgeous photo. I love the long tail. The stark white plumage of the bird stands out nicely against the wonderful blue of the water.